As a whole group you will act as a re-dubbing sound design team for the Science Fiction Anime film ‘Vexille’ (2007). Your brief is to create a new sound design for the English language release of the film. You will be given a muted version of the opening 13 minutes of the film (with subtitles as a guide for dialogue).Therefore, it is your task to research, plan, record, edit and mix the production to the clients specifications. Your group will be split into smaller satellite teams which will be responsible for different departments in the Production and Post-Production phases. 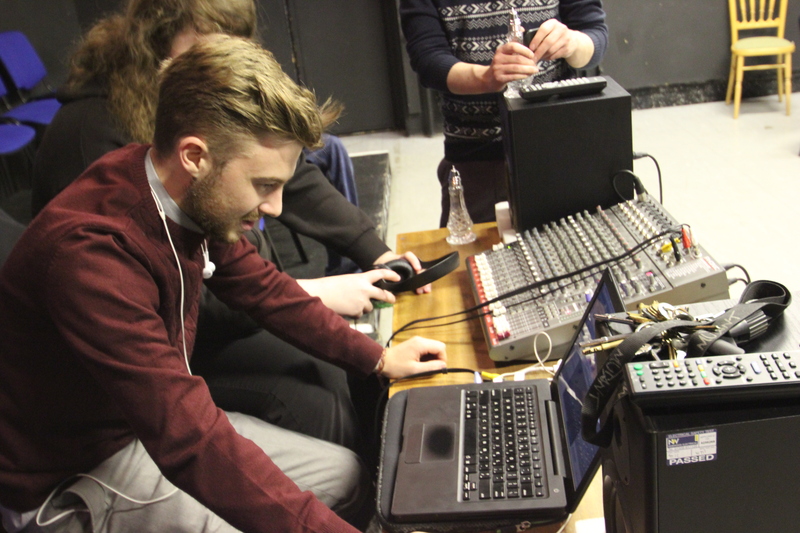 You will then all individually, create a completed, stereo mix of the film. This particular unit is focused on sound design so therefore you will be graded on your ability construct a coherent and technical competent sound design for the production. 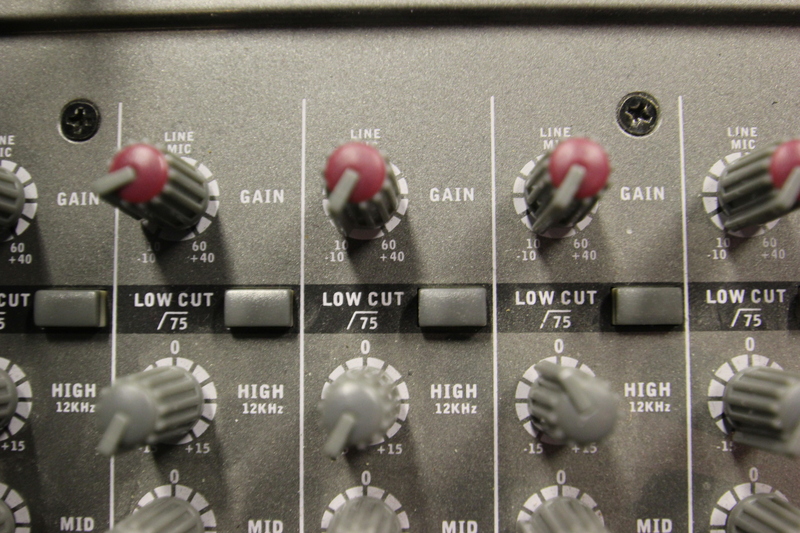 You will be expected to use correct equipment to capture audio and also use sound design techniques to enhance the production aesthetics. 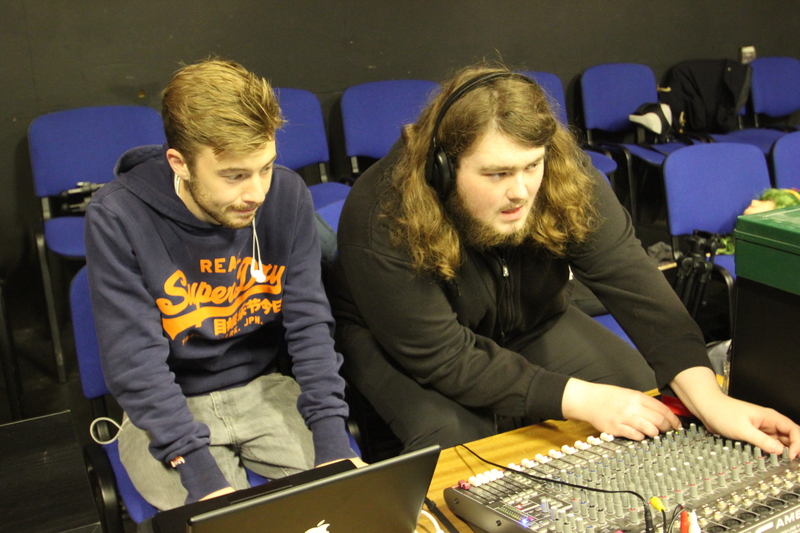 For this task our year was split up into different sound departments groups that was responsible for completing their portion of the sound design. This consisted up of: ADR (additional dialogue replacement), Foley, Atmospheric sounds, and SFX (sound effects) which were divided up into weapons,impact, and machinery sounds. And it was up to each individual to source their own music score if they decided they wanted one when it came time to do the edit. I was responsible for the machinery sounds with Jordan Schofield. I also helped out with some ADR as well as foley. This project was supposed to be a group effort, unfortunately not everyone pulled their own weight which caused for the rest of us to pick up the slack. Such as atmospheric sounds were not properly synched up, and they weren’t the best quality so I had to source those online and synch them up myself. Weapons sounds were non existent so that had to be done individually as well. Impact sounds forgot to do bullets hitting objects so those had to be produced also. This project has made me realize that working in big groups isn’t always the best thing, I think I much rather prefer working in smaller groups or possibly individually so we have more control over the final end product. 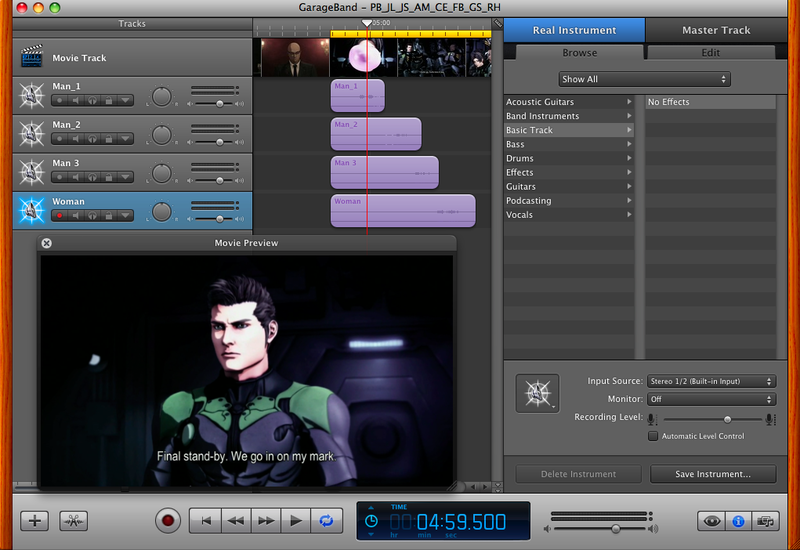 For this project we simply recored sounds using Garageband on either my laptop or Jon’s laptop. 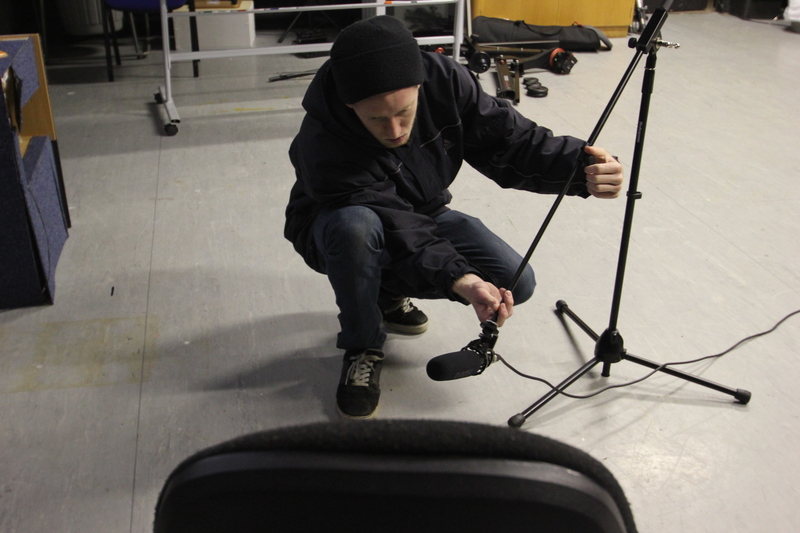 The recording process became consistent after a few tries and we had got it down pretty well. After everything was properly hooked up we used the audio mixer to make sure there was a strong signal coming in, and after we recorded each sound we double checked to make sure it was done properly and here was no extra noise (such as a fan humming in the background). If this was the case we would re position the mic or adjust the audio gain to achieve better results. We had to come up with sounds which isn’t as easy as one would expect. For most sounds out there, the sound effect is something that sounds better than the actual sound itself: for example walking on shredded paper sounds like grass even more so if than a recored sound of someone actually walking on grass. We thought of many things to record as about 50 percent of most sounds had to be created rather than sourced. Below Jordan Schofield and Craig ellis are recording an old Mac computers disc tray as part of a mechanical sound. Most sounds need to be layered together to sound well finessed . Many days were spent in the studio trying to get most sounds completed for this assignment. 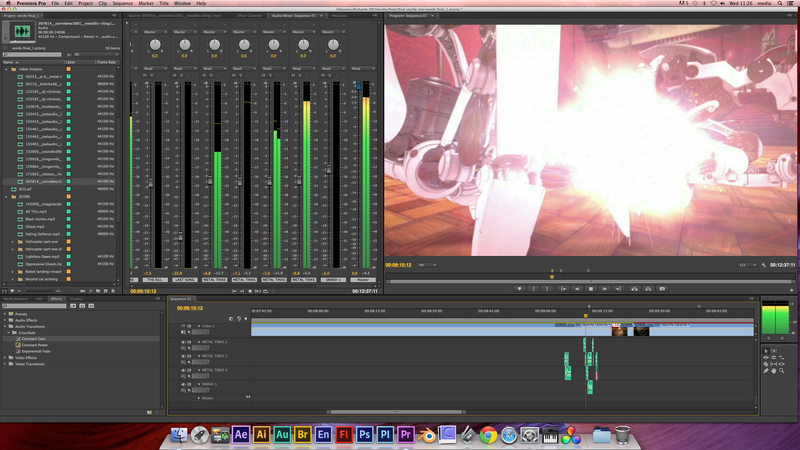 We wanted to give everyone plenty of sounds to work with when it came to the editing/mixing stage. Some sounds worked really well while others didn’t. It was mostly trial and error with random things we could find and record. 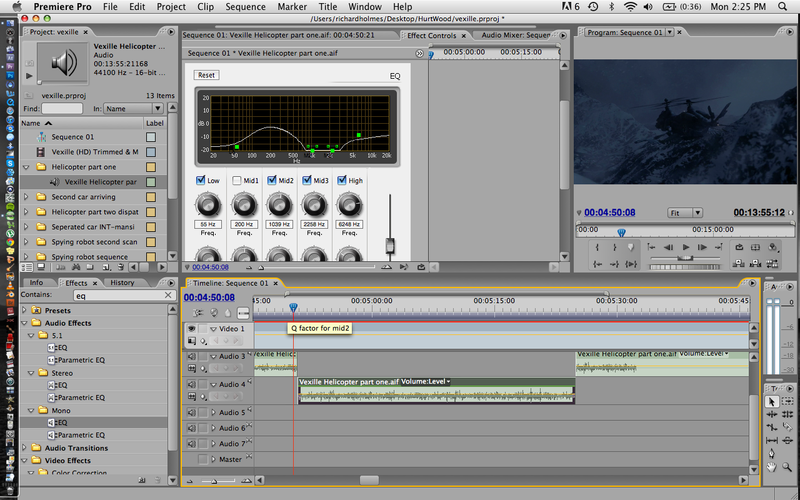 Above is a screenshot of myself mixing in Adobe Premier Pro CS3. Here I am EQing (equalizing) the sound of the helicopter blades while the scene takes place inside the helicopter. I brought down the highs as well as a few of the mids and a tiny bit of the lows. This made the helicopter blades sound quieter which worked quite nicely and fit together. 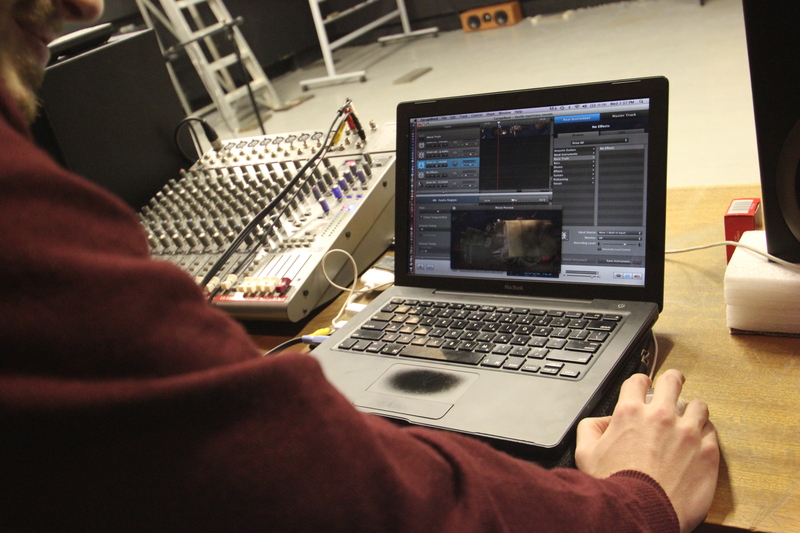 The final mix was completed on the colleges computer in Adobe Premier pro CS6. This was nice as it was quicker and had a bigger screen than my personal laptop. Here I am synching up all the bullet/ bullet impact sounds. I made sure none of the audio levels peaked as well as fading each sound in and out using the constant gain to avoid any sudden changes. Over all I am quite pleased with my edit and I think it works quite well.